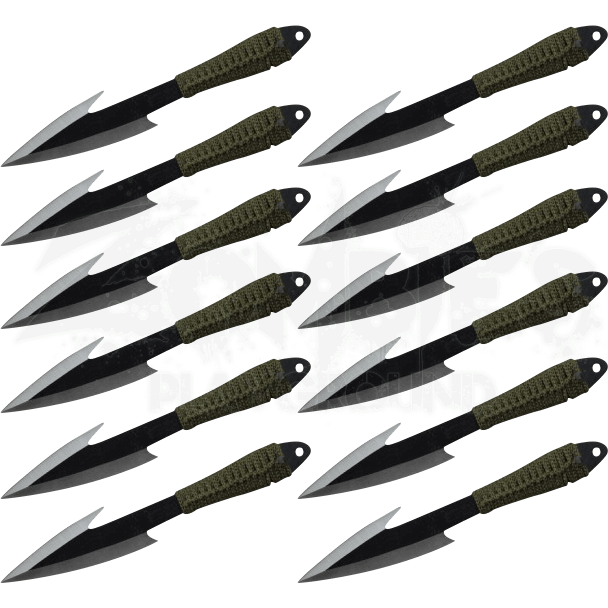 Exceptionally balanced with a wicked gut hook, the 12 Piece Ninja Hunter Throwing Knives will make short work of any target or opponent. Crafted from stainless steel, these ninja knives are an excellent choice for honing your skills. 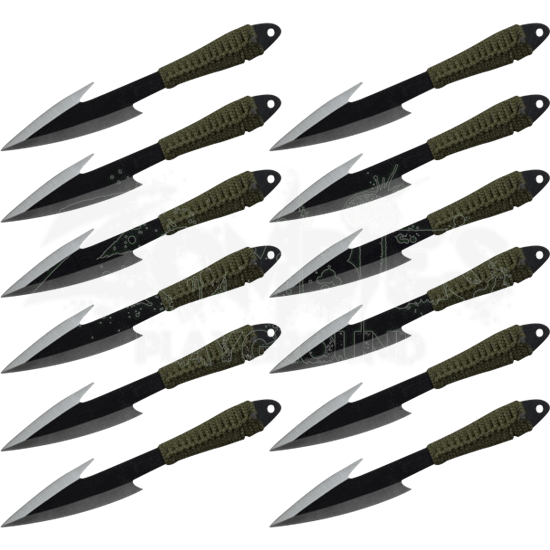 The throwing knife set displays a matte black body with a chrome blade finish. The full tang handle is wrapped with military green nylon cord for a secure and comfortable grip. A lanyard hole allows you to attach a tassel or ribbon for training. Perfect for recreation or competition, the 12 Piece Ninja Hunter Throwing Knives are an eyecatching set for any knife collector.